$2,500 scholarship for students in medical, dental or nursing school | Back to Basics Learning Dynamics, Inc.
Help remove the stigma among medical students to receiving mental health treatment while dealing with stress, anxiety, and depression at school. And, you can win a $2500 scholarship! 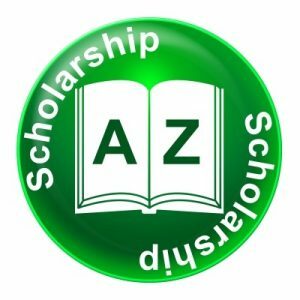 The ACLS Mental Health Awareness Scholarship is a $2,500 scholarship which will be awarded to a student currently enrolled in, or accepted to, medical school, dental school or nursing school. Applicants are asked to submit ideas via a 30-45 second video which will improve mental health awareness. Examples include a system that they would change, a new service that’s needed, or a program that would be beneficial to medical students. Applicants: Open to students currently enrolled or accepted to medical school, dental school, or nursing school. To learn more, please visit the ACLS Mental Health Awareness Scholarship page. For more great college scholarships, please click out SCHOLARSHIPS tab. Plus, visit our How to Win Scholarships page for tips on submitting the winning application! Back to Basics offers 1-on-1 tutoring in 60+ subjects, professional development, translating and interpreting in 21 languages, speech therapy, occupational therapy, behavior specialists, reading specialists, paras, ELL services, homebound services, RTI support, psycho-educational testing and test prep. We also offer summer school and educational summer camps, original credit and credit recovery, along with unique enrichment options such as music, art and photography. Plus, Back to Basics Private School is Delaware’s only Department of Education approved 1-on-1 Private School for K-12. Back to Basics Learning Dynamics is the undisputed leader in 1-on-1 tutoring in Delaware and the tri-state area for over 60 subjects. Since 1985, our commitment to a 1-on-1 teaching method has differentiated us from other educational service providers. We serve the diverse needs of a range of students – from those who simply need some academic support, to those who are learning disabled, hearing or visually impaired, ADHD, gifted, or on the Autism Spectrum including High Functioning Autistic and Asperger’s. Photo by FreeDigitalPhotos.net and Stuart Miles. July 23rd is National Parents’ Day!